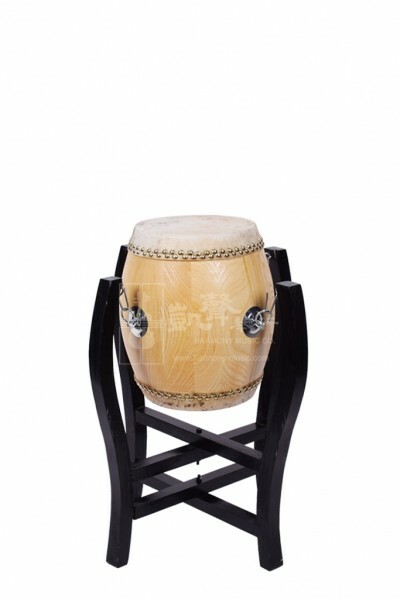 While performing with large gongs deliver a sense of excitement and warmth, this Tanggu is also capable of performing lively rhythm with smaller cymbals and gongs. Made in Suzhou, this Tanggu is also known as War Drum. It produces a crisp and bright tone that is often used in contemporary folk ensembles and opera music. From tapping the center and the sides of the drum, this Tanggu can create a wide variety of volume and contrast in tonal colors that can significantly change the mood and atmosphere of the scene. Comes with a stand and a pair of drumsticks, this Tanggu measures around 21.6 cm in diameter.